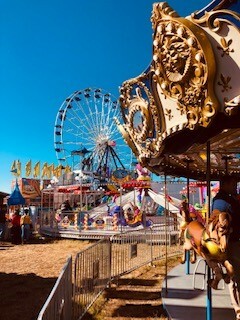 It has been a long time since I have been to the Fair. The Cape Fear Expo did not disappoint. It had everything anyone could want; animals, food, games and rides. 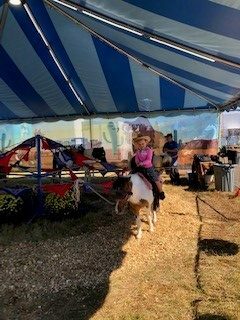 We got to the Fair right as it was opening on Saturday, and had two hours of virtually no lines. I remember going to the California state fair when I was younger. 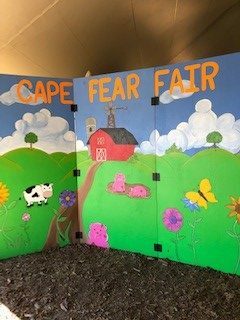 The Cape Fear Expo had all the rides I remember, including the Tilt A Whirl. 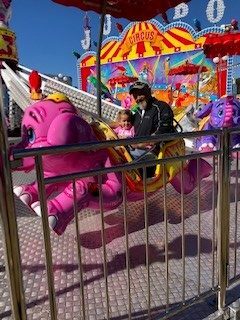 We discovered the Tilt A Whirl was a bit much for my four year old daughter, but she loved all the other kid rides, favorites being, the Helicopter and Elephant rides. 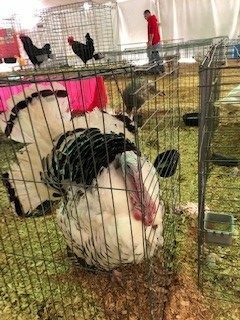 All the winning animals were on display, everything from roosters to horses. I think my favorite animals to look at were the bunnies, I mean they are the cutest. They kept the animal area very clean virtually free from smell, I’m sure that is a feat! I’m so glad that we went to the Fair this weekend. I think it will be a family tradition every year!